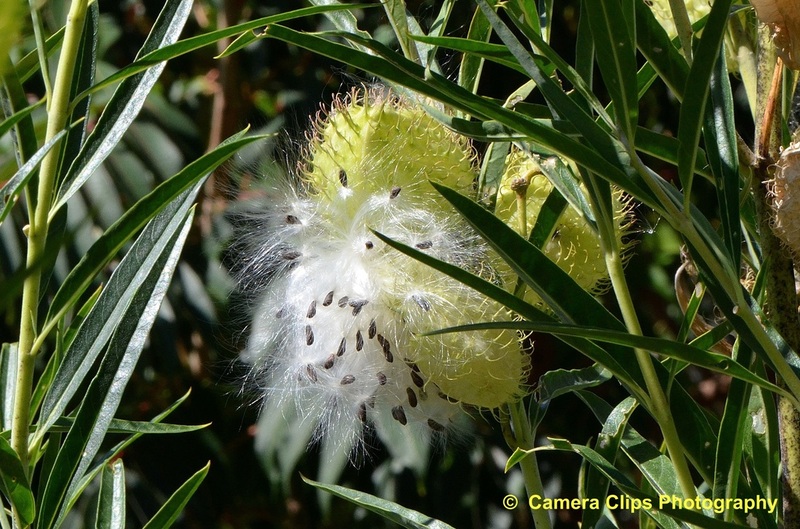 In New Zealand the main food for our Monarch Butterflies and Caterpillars is the Swan Plant Gomphocarpus fruticosus. Many of us grow swan plants in our gardens to encourage visits by Monarch Butterflies and to ensure more eggs are laid. In schools, children learn about the metamorphosis of the Monarch on it's amazing journey from egg, to caterpillar, to butterfly. The 'swans' on the swan plant are actually the seed bags and, when the seeds are mature and ready to be sown, the swan splits open to allow the seeds to fall out. 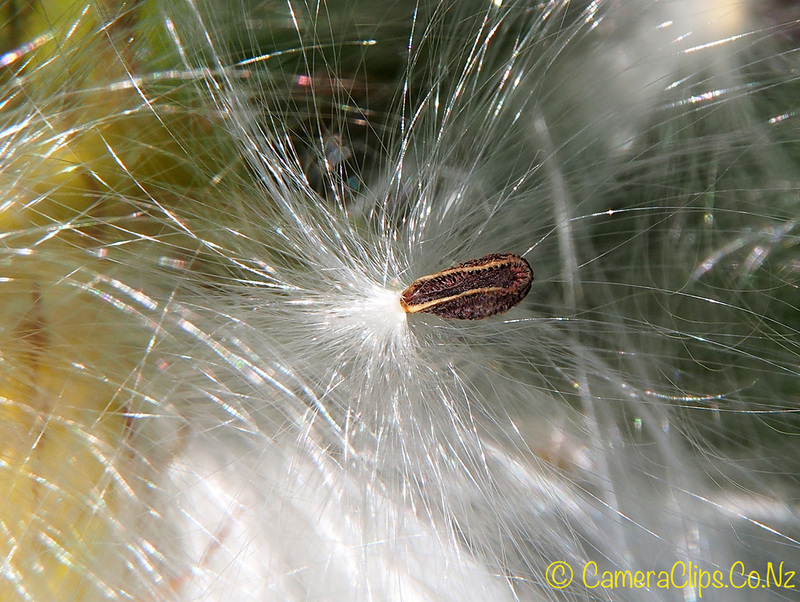 Each seed is attached to a small, gossamer parachute, allowing it to float on the wind to its position of germination. 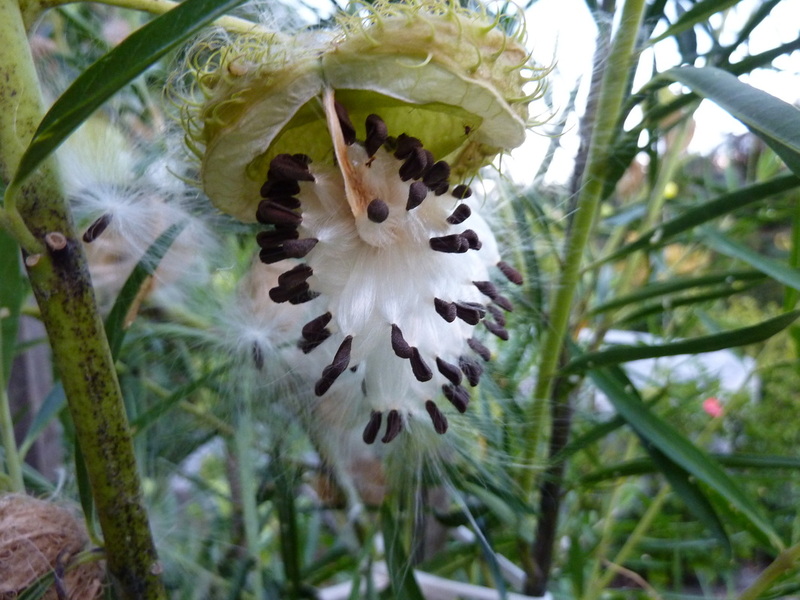 The "Swans" on the Swan Plant (Gomphocarpus fruticosus) have split open to reveal the tiny seeds attached to their gossamer parachutes. 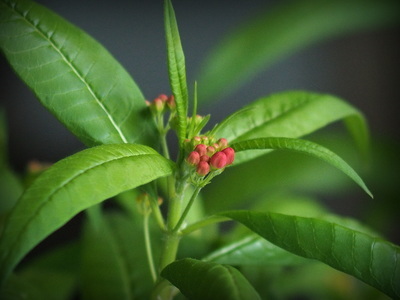 "Milkweed or the Asclepiadoideae is a large family of plants with only a handful available in NZ. It is the host plant for the Monarch butterfly, which lays its eggs on the plant, and then the caterpillars begin to eat the leaves. It is named for its milky juice, which contains alkaloids, latex, and several other complex compounds including cardenolides. Some species are known to be toxic. However, do not get the plant family confused with plants such as dandelion, sow thistles, portulaca and Euphorbia species etc. – all of which also have a milky sap. 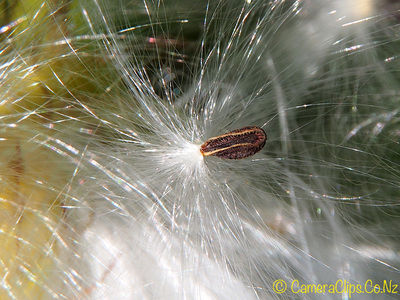 Milkweed originates on two continents – the African and the American continents. The species that come from Africa were renamed ‘Gomphocarpus’ by Kew Gardens botanists. The American species are known as ‘Asclepias’, but all are members of the Asclepiadoideae family." As the swan and seeds dry out, the gossamer parachutes open and the seeds float out. The seed is on its way to find a new resting place to germinate and grow into a new Swan Plant. In New Zealand the favourites are (The) Swan Plant (Gomphocarpus fruticosus), (The) Giant Swan Plant (Gomphocarpus physocarpus) and Tropical Milkweed - Bloodflower (Asclepias curassavica). 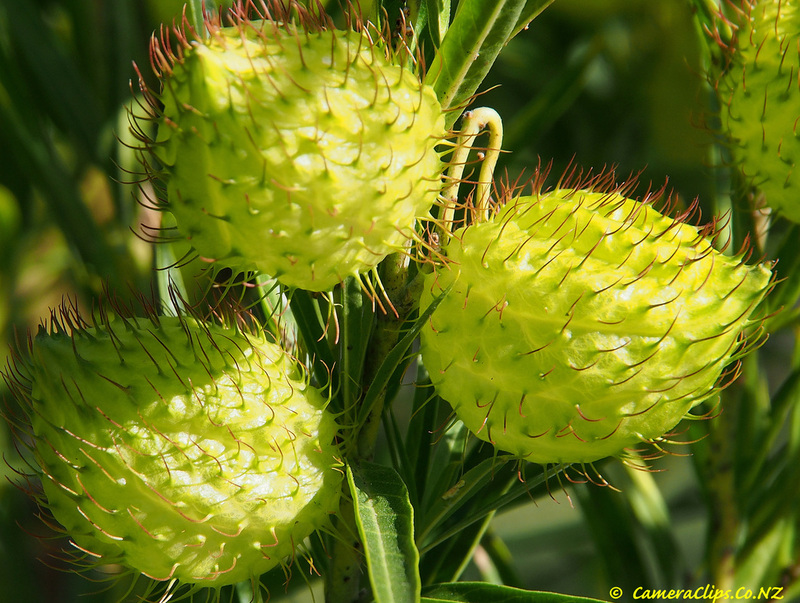 Other members of the Milkweed family (Asclepias spp) are eaten however there are only a few of these in New Zealand like the Common Milkweed (Asclepias syriaca) and Swamp Milkweed Asclepias incarnata. 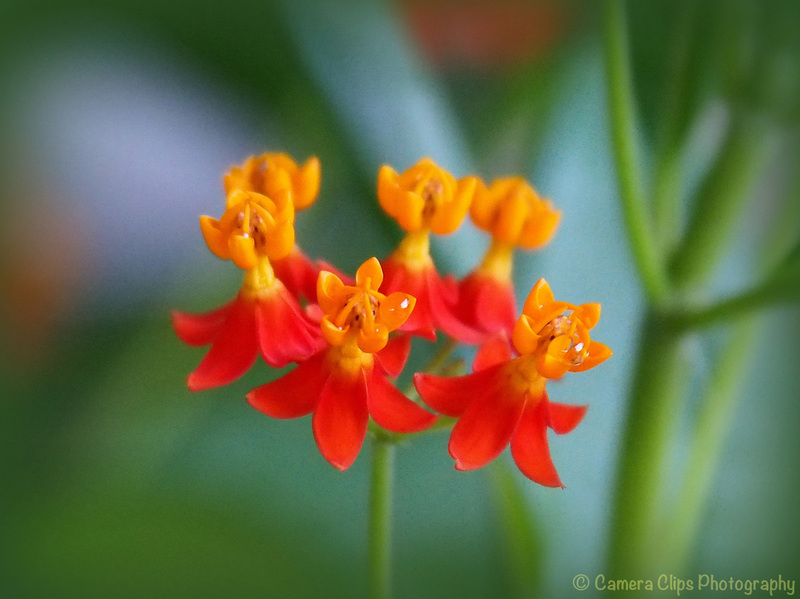 If your not in New Zealand, then the 'best' Milkweed is Butterfly weed (Asclepias tuberosa). Note: Butterfly weed (Asclepias tuberosa) can be grown in New Zealand, but it cannot be imported for fear of it becoming a invasive weed as it spreads by underground roots. 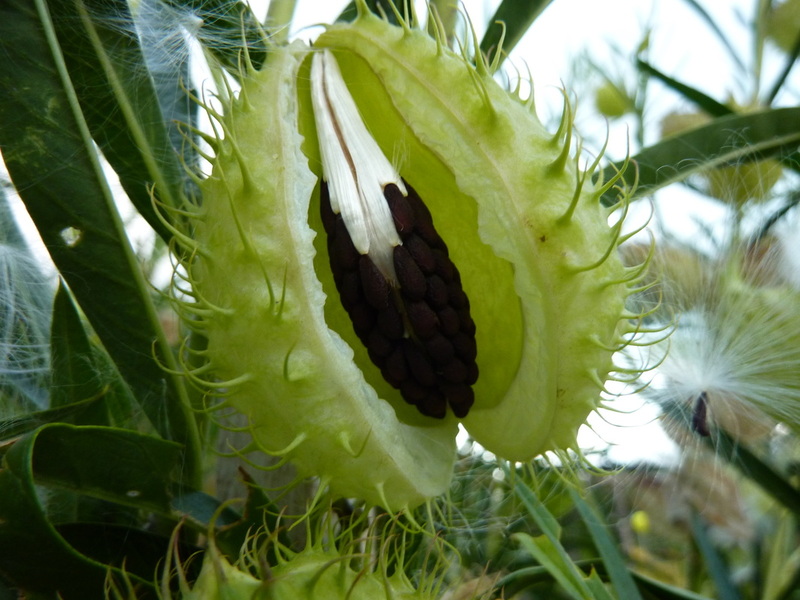 So this is a rare plant in New Zealand, not helped by the fact it won't seed easily."